An online merchant account is fast becoming a key component for doing retail business in the modern world. If customers don’t have a way to buy directly from you wherever they may be browsing, you might lose business to another store that does offer that functionality. Here is some information to consider before you make a decision regarding your online accounts, and how you want to sell to your customers. Most payment gateway services offer phone support for setup of any accounts, terminals and equipment you need in store. Working online is a bit different, and you might want to consider using the same team or individual who developed your website to integrate the payment processor. This project consists of placing some code into your website, and a lot of testing to make sure transactions are going through as they are supposed to. If you’re trying to operate your store, and build your presence online, you’re not going to necessarily have time for all that. Credit card terminals have received recent upgrades to accommodate new chip cards, and online processors are no exception either. New security measures encrypt data end to end, which means customers only pass anonymous data to your bank. The banks use complicated algorithms to sort out the actual process of transferring money. This protects your business from the liability of hacking, but you still need to institute individual security policies for your employees as well. The best rule to keep in mind is limiting exposure to sensitive data. What you don’t need to see to complete a transaction won’t hurt you. 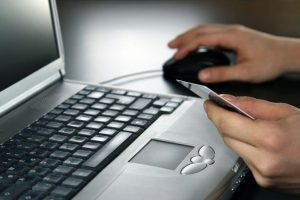 Charge.com Payment Solutions, Inc. offers an online merchant account with no setup fees. Learn more, or sign up for your free account at Charge.com.